The Pastor's class, a fifteen session course taught by both of the Pastors, covers the basic teachings of the Bible as taught and confessed by the Lutheran Church. 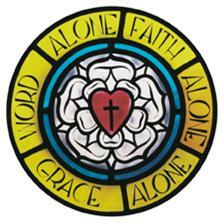 It is a prerequisite for membership in the Lutheran Church, but no one is ever pressured to join our congregation. All inquirers, and their questions, are welcome. This course is also a very good refresher course for confirmed Lutherans who haven’t studied the doctrine of our church for a while. The Pastor’s Class is offered two or three times per year. The sessions are held twice a week, on Thursday evenings and Sunday mornings during the Sunday School hour, and take roughly eight weeks to complete. New classes are announced beforehand in the bulletin, newsletter, and mailed notices. If you would like more information, or would like to be notified when a new session begins, please email Pastor Huebel at pastorhuebel@messiahkeller.org .